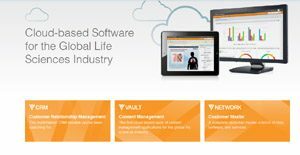 Veeva CRM is the first fully integrated multi-channel CRM solution designed for the life sciences industry, including drug companies, medical institutions, and healthcare organizations. The software, however, can also apply to a general corporate environment. Veeva features a single platform to plan and execute CRM programs, from account profiles and influence networks to sales reporting and engagement history across channels. Whether for meetings, email management, lead generation, or a contact center, Veeva integrates these functions in a seamless ecosystem for effective, 360 planning. You can measure performance and key indicators across channels, while maintaining a central focus on the customer. Likewise, you can scale up or down the features depending on your needs and without compromising the system’s other users. For example, explore advanced sales or marketing campaigns while keeping helpdesk consistent to measure outcomes. The vendor also claims to upgrade system three times a year without additional costs on you. The software integrates with best-of-breed applications including pre-built apps. It’s also compatible with mobile browsers featuring a native feel for the major mobile OS. You can simplify the management of content and easily create and distribute content across channels. Easy-to-learn environment based on consumer web experience, smart reports, intuitive dashboards, actionable insights, and out-of-the-box solutions to help you to make more informed decisions. Scale up or down without breaking the bank with easy implementation of the right configurations, security settings, and data sharing rules offline or online according to your needs. Test or preview content across channels before distribution. Put all your customer-frontline teams in one environment for a more integrated and consistent performance and increased coordination and visibility of the various aspects of customer interactions. Built on Force.com’s world-class cloud-based platform for unparalleled flexibility, scalability, and value. Organizations have different wants and requirements and no software application can be ideal in such a scenario. It is useless to try to find a perfect off-the-shelf software product that meets all your business needs. The wise thing to do would be to adapt the solution for your unique wants, worker skill levels, finances, and other aspects. For these reasons, do not hasten and subscribe to well-publicized leading solutions. Though these may be widely used, they may not be the perfect fit for your unique wants. Do your homework, check out each short-listed platform in detail, read a few Veeva CRM reviews, call the seller for explanations, and finally settle for the app that presents what you want. How Much Does Veeva CRM Cost? Veeva CRM plans are available by quote only. We realize that when you make a decision to buy CRM Software it’s important not only to see how experts evaluate it in their reviews, but also to find out if the real people and companies that buy it are actually satisfied with the product. That’s why we’ve created our behavior-based Customer Satisfaction Algorithm™ that gathers customer reviews, comments and Veeva CRM reviews across a wide range of social media sites. The data is then presented in an easy to digest form showing how many people had positive and negative experience with Veeva CRM. With that information at hand you should be equipped to make an informed buying decision that you won’t regret. What are Veeva CRM pricing details? What integrations are available for Veeva CRM? If you need more information about Veeva CRM or you simply have a question let us know what you need and we’ll forward your request directly to the vendor.